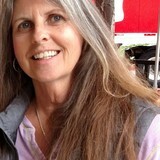 Residential cleaning ,detailed orientated,also organizer, bi weekly,monthly one time clean. Free estimate house walk though. 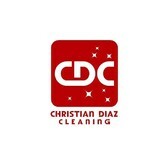 We provide professional office and home cleaning. 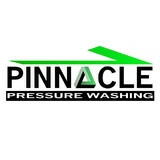 Pinnacle Pressure Washing is a commercial and residential pressure washing company based in sacramento, ca. specializing in pressure washing, roof cleaning, concrete cleaning, house washing and other facets of power washing / soft washing services. Easy Clean Carpet Care offers professional cleaning services in Sacramento, CA that can be suitably customized as per the client’s requirement and budget. Our main aim is to provide you an exceptional cleaning service that will leave behind a sanitized, deep cleaned and sparkling space. Whether you need a carpet cleaning, upholstery cleaning, tile/grout cleaning or commercial cleaning, we are always on the move to deliver a safe, fast and affordable service. Call us today at (916) 727-1114 to book the desired type of cleaning service! Pontiflet’s Cleaning Service prides itself on being the go-to choice for clients looking for Window Cleaning, Janitorial and Carpet Cleaning services. Maid Complete is your solution to a clean home! We are a professional home cleaning agency, specializing in all kinds of cleaning services, just so YOU can come home to a beautiful and clean house. What should I expect from a house cleaner in El Dorado Hills, CA? Most professional El Dorado Hills house cleaning services will do the same tasks for a basic residential cleaning job: clearing dust and cobwebs from all surfaces and fixtures; wiping all surfaces, including sinks, tubs, counters mirrors; cleaning tile; vacuuming and mopping. You may want to have different rooms detailed at different times, so ask about doing a rotating schedule if you want them to pay extra attention to each space (like kitchens and bathrooms) every other cleaning. Some house cleaning companies in El Dorado Hills, CA will also offer additional services such as window washing or appliance cleaning, so ask about incorporating them into your deal or doing them as a one time thing if you’re interested. Pick up any clutter (laundry, toys and other gadgets) and put pets in a secure spot so they feel safe and don’t get in the way of the El Dorado Hills house cleaning company. Put out any specific cleaning products or tools you want used, and make sure to lock up any valuables that you don’t want disturbed. Most housekeeping services in El Dorado Hills, CA will enter with a spare key or garage code, but if that isn’t something you’re comfortable with then you should arrange for them to come when you are home to let them in. Typically El Dorado Hills house cleaners expect payment at the time of cleaning, so ensure you have the appropriate form of payment (cash, check or credit card) on hand, plus a little extra for tip if that’s your style and they do a great job. 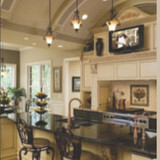 Find El Dorado Hills house cleaning services on Houzz. Narrow your search in the Professionals section of the website to house cleaners in El Dorado Hills, CA and contact local companies to ask questions and get quotes.